This is something really essential for an artist in terms of building a pure copyrighted song, a music production is the base of a track that should be taken care seriously. We are serving music production from past 8 years to over 500+ artist with different genre (Hip-Hop, Bollywood, classical & more). D18 Studios expertise work on ‘Logic pro’ to give the best music of an artist’s choice. We think that creating good music is like giving life to good music. 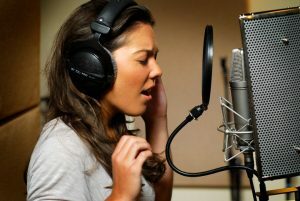 A vocal recording work is an important part of audio production that is mostly performed in sessions. There are three microphones choices for vocal recording purpose: One is Condenser, another is dynamic and third one is ribbon. The differences are vast..technically/manually both and the right choice can make or break the vocal sound and performance. Choosing right microphone is the first & most important part while performing vocal recording. Most of the time for vocal recording work, a large diaphragm condenser mic is used for vocals for its ability to capture the loudest to the softest of sound and nuance. 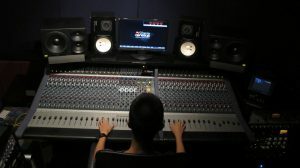 In D18 Studios the mic that is most prefered is ‘RODE NT2A’ that has a very large diaphragm & best for recording vocals. We feel that while recording an artist should have patience, should be comfortable, should be prepared to give his/her best. This is the final stage in the completion of an audio track project that is the most important part in terms of vocal quality & proper volume enhacement. There are 2 types of mastering process – Digital & analog (hardware process). 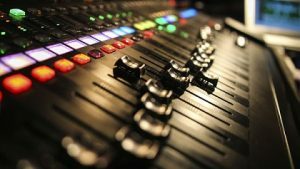 Mixing is the step before mastering that generally involves adjusting & combining individual tracks together to form a perfect stereo audio file after the mixdown. Then the stereo file is then mastered, which ensures that the song/tracks are clearly polished & gives the best quality output. – Without perfect mixing & mastering process one cant expect the quality track. To purely enhance the quality of a track mixing engineering is performed & finally the mastering process levels it perfectly & a quality track is produced. D18 Studios performs on both DIGITAL & ANALOG mastering with hardware process that gives a track genuine quality that it deserve. 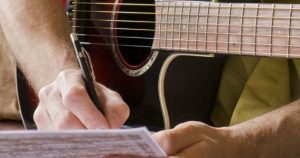 Writing Lyrics is really important part for a song, to make a big hit track..lyrics plays an important role & for an individual new artist sometimes its difficult to deal with it. So D18 Studios provides excellent composition & lyrics writing work for all artists (Rap, RnB, soul, bollywood & more). Give a chance & get your lyrics NOW.